Do you remember my story of being shushed at My Dung? If you don't, the short version is that I was told I "smile too noisy." 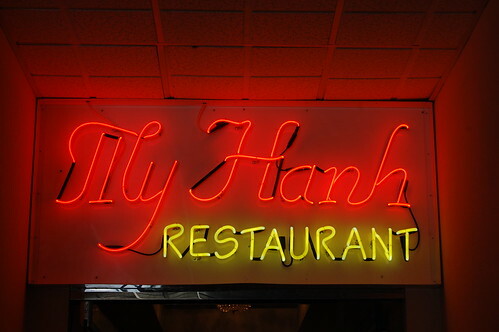 We haven't been back to My Dung since, and now we've found a suitable replacement -- My Hanh (8450 E. Garvey Avenue, Rosemead). It even sounds similar! And we can smile as noisy as we want here! Tasteful decor? No. 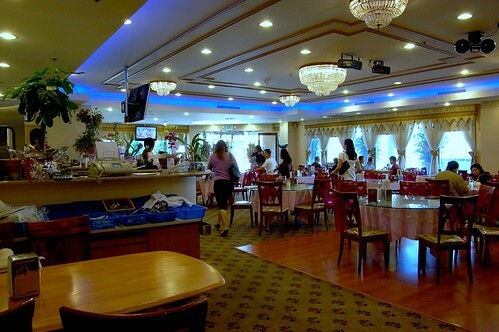 But the food is decent, and the price is right, even if you'll experience quite the language barrier with servers. Your best bet is to point to the number of the meal you want. The menu has very clear English descriptions, even if your server will look at you quizzically. 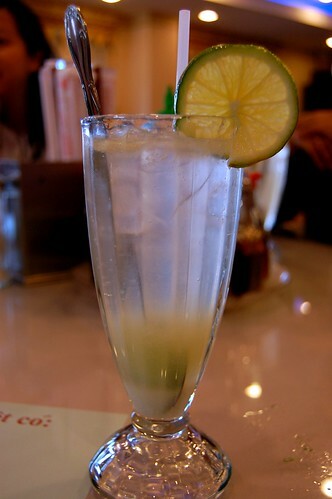 My soda chanh ($2.50) was great -- tart, not too sweet, and perfectly fizzy. 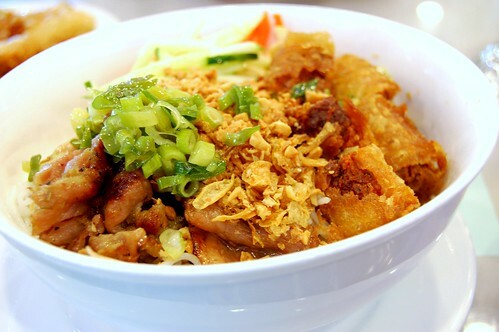 I got my usual vermicelli with charbroiled pork and egg roll ($5.65). The vermicelli was nice and springy, although I found it a tad firm for my liking. 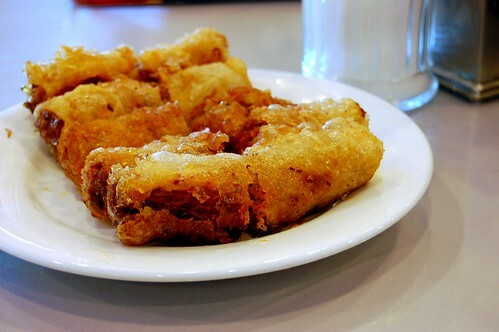 The pork was a bit on the fatty side, but the egg rolls were great. Glam's pho looked mighty good, as did the stand-alone plate of appetizer egg rolls. Bax opted for Chinese sausage and shrimp fried rice ($7.95). Will this place knock your socks off? No. But nothing on the menu is over $9.00, so at least your wallet will be pretty happy. And they don't shush you here. Yay for a non-shushing alternative! 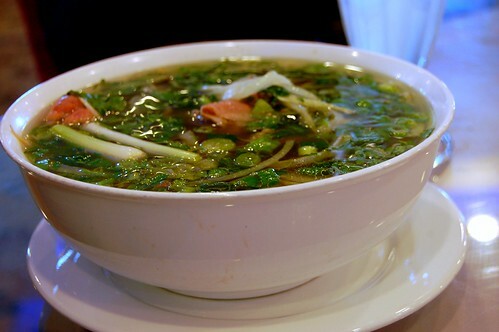 I miss pho. Haven't eaten it in forever! Hahaha. I love the smiling too noisy story. I haven't had pho in a long time either. ok now I am starving. I love pho! I have it about once/week. 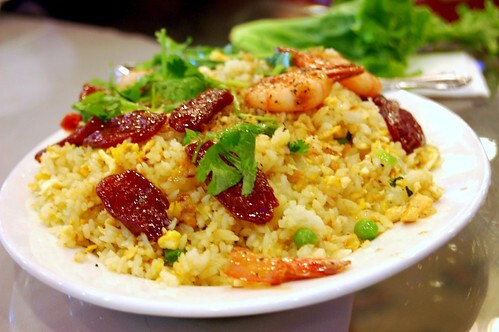 Thank goodness I'm about to dig into some shrimp fried rice, since my mouth is now watering after the post. i can't imagine forgetting a place called "my dung." mmmm, from your pictures, it all looks fabulous! I don't know, your pictures make it look pretty damn good. I love pho. It served me well in grad school because it was filling, tasty, and cheap. It's like comfort food to me. I've been seriously lagging in my readership. I didn't see this 'til now. . . And now I'm craving Vietnamese again. I swear I could eat it everyday! I'm sorry to say that I still miss My Dung. But I haven't betrayed you. Soliditary is more important than tasty eats.